What is interactive media? Any opportunity you have to engage attendees to touch, scan or select different parts of your media presentation is considered interactive. In the past ten plus years the Internet has gone from a flat, one dimensional source of information to a place you can change, interact with and create personalized experiences. Using Interactive media within your booth offers attendees the same opportunity to personalize their experience with your company. Informational Kiosks – Retail Display Kiosks give attendees access to a wide variety of information, from interactive product catalogs to technical specifications. These devices can use rich media (audio, video, and animation) to provide an immersive experience, and the interactivity puts the attendee in charge of how and what he or she chooses to view. Quizzes and Games – Staged on everything from touchscreens to huge screens for large-scale, high-visibility game shows, interactive quizzes provide an engaging, entertaining way to educate attendees about your products. Interactive quizzes can also spark conversations between visitors and staffers about your product and brand content. Presentations and Shows – In-booth digital-media presentations can go far beyond conventional PowerPoint slides, incorporating audio, video, and sleek animation to reinforce branding and create engaging communication. Exhibitors can use custom interactive presentations, such as live audience polling using tablets or an audience-response system, and can equip presenters with high-tech tools such as multi-touch displays to further enhance their persuasive power. Brand Experiences – These might include stylish brand animations that respond to visitor motion, or eye-catching demonstrations of new technology like projection mapping or augmented reality. 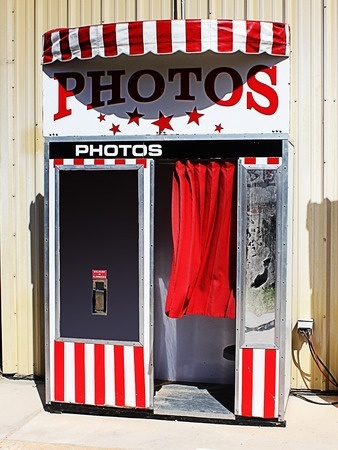 More playful activities, such as virtual postcard photo stations, bring levity to an exhibit, while participatory activities, such as adding photos or comments to a video wall, will help build brand affinity with attendees. One accessory that helps create that personalized experience is the InTouch Interactive Touchscreen Table Technology from E&E Exhibit Solutions. The more you can actively involve trade show attendees the more likely they will be to stay and learn more and also recommend that others visit your trade show booth. 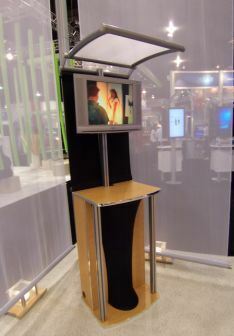 To learn more about custom trade show displays and how you can incorporate interactive media, contact E&E ExhibitSolutions.